Who’s an ice cream lover? I bet you’re raising your hand, because who’s not? If I could, I’d eat it every day, but since I’m not one of those people that can eat and eat without getting enormous, I don’t. Lucky for me – and maybe you – I did find a healthy kind of ice cream. Well, healthy might not be the right term. When you think of it, only fruits and veggies are truly healthy so let’s call this one a healthier version of ice cream. It does contain sugar after all. But it ís vegan, which means no lactose, soy and gluten whatsoever. And yet it does taste great, delicious really. It’s called Professor Grunschnabel and you should definitely taste it. I had the luck of testing some and I definitely recommend Chococolate, Cafe et Khalib and Indian Winter. 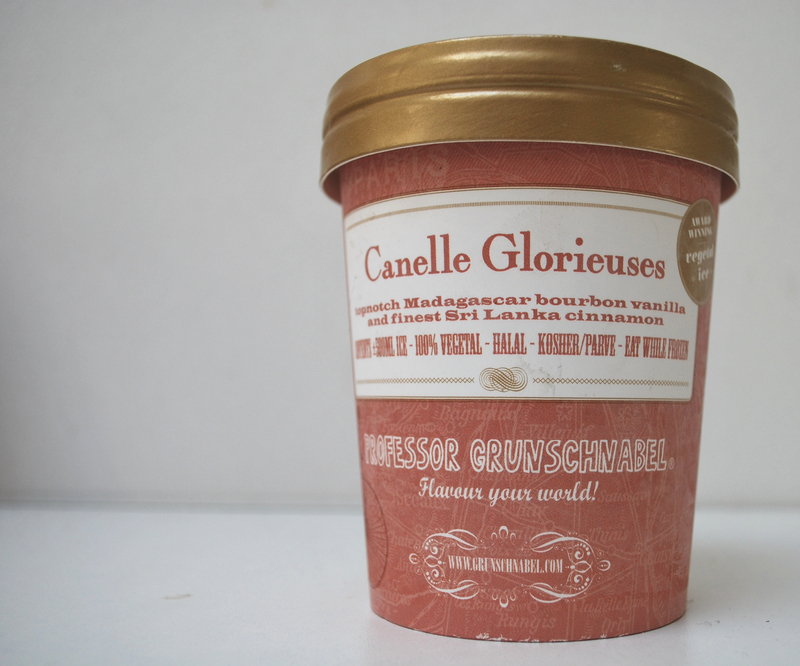 But my absolute favorite is the one you see above: Canelle Glorieuses, which tastes like coconut and cinnamon. Watch out Ben & Jerry, you got competition!